Ringo Starr's first recorded composition was written several years before its 1968 release on the White Album. Don't Pass Me By was mentioned by the group on 14 July 1964, during an introduction to And I Love Her for the first edition of the BBC radio music series Top Gear. Starr was asked if he had plans to write songs, and replied that he had written one. McCartney then interjected by singing "Don't pass me by, don't make me cry, don't make me blue". In June 1964, during a radio interview in New Zealand, Starr playfully urged the rest of the group to "sing the song I've written, just for a plug". Other press reports from as early as 1963 mention the song. I wrote Don't Pass Me By when I was sitting round at home. I only play three chords on the guitar and three on the piano. I was fiddling with the piano – I just bang away – and then if a melody comes and some words, I just have to keep going. That's how it happened: I was just sitting at home alone and Don't Pass Me By arrived. We played it with a country attitude. It was great to get my first song down, one that I had written. It was a very exciting time for me and everyone was really helpful, and recording that crazy violinist was a thrilling moment. The fact that Don't Pass Me By was ignored until 1968 says much about The Beatles' willingness to record any available material after their trip to India. George Martin has since revealed that he urged the group to trim the double album down to a single, high quality collection, but was vetoed by the others – possibly as Lennon and McCartney wished to fulfill their contractual requirements as songwriters as soon as possible. Strangely, despite the song's lengthy gestation, Don't Pass Me By was recorded with the working titles Ringo's Tune (Untitled) and This Is Some Friendly. It also briefly featured an orchestral introduction, written by George Martin and recorded at the 22 July 1968 session for Good Night. It was for John that I did an off-the-wall introduction, because we hadn't a clue what to do with Ringo's song. In the event, the intro was too bizarre for us to use, and the score was scrapped. The introduction was eventually released as A Beginning on the 1996 collection Anthology 3, after McCartney, Harrison and Starr chose not to complete the John Lennon demo Now And Then. The recording of Don't Pass Me By was begun on 5 June 1968, as Ringo's Tune (Untitled). Three takes of the rhythm track were taped, with McCartney on piano and Starr on drums. Onto the third take was overdubbed another piano part and a sleigh bell. Starr also recorded his lead vocals and McCartney two bass parts, although these were later wiped. On 6 June recording continued, under the new working title This Is Some Friendly. Starr replaced the previous day's bass with two lead vocals, and McCartney taped a new bass part. A new mix of Don't Pass Me By was included on Anthology 3, made from the basic rhythm track and Ringo's vocals from 6 June. Between 3pm and 6.40pm on 12 July, session musician Jack Fallon taped his violin part, after which more bass was recorded by McCartney and Starr added another piano track. George Martin had jotted down a 12-bar blues for me. A lot of country fiddle playing is double-stop [two notes played simultaneously] but Paul and George Martin – they were doing the arranging – suggested I play it single note. So it wasn't really the country sound they originally wanted. But they seemed pleased. Ringo was around too, keeping an eye on his song. When the White Album was released in 1968, there were a number of variations between the mono and stereo versions. The mono mix of Don't Pass Me By was significantly faster than the stereo version, and contained more improvised fiddle playing at the end. I thought that they had had enough so I just busked around a bit. When I heard it played back at the end of the session I was hoping they'd scrub that bit out, but they didn't, so there I am on record, scraping away! I was very surprised they kept it in, it was pretty dreadful. On 22 July the orchestral introduction, later issued as A Beginning, was recorded. However, another overdub from the session did make its way into the final mix: a tinkling piano introduction which was later edited from 45 seconds down to just eight. What effect was used on drums and piano? They sound like an hammond organ. Weird. And cool too. There is some bootlegs about this song with the 30 second reprise. Hey, thanks for the info – I didn’t know there was a reprise originally. I’ll have to dig out some bootlegs and have a listen. You must listen it, the only thing that i didn’t knew also is that the piano was cut from 45 to 8 seconds, the bootlegs only show the 8 seconds, also after the Jack Fallon ends his violin piece, all the four starts to applause during a whole minute while Ringo saying many things such as: Wow, wow, wonderful, wonderful, bravo, bravo (meanwhile a dog is barking), then they stops, and again applause and Ringo saying: ”That’s it, if you want to hear some more, you have to pay for all that”…something like that. Is also on the bootlegs, if we include all these sections the official lasting is around 5:50. Someone is playing a hammond organ or an harmonium in this song. Who could it be? I can get a similar sound by running a piano through a Leslie Cabinet set to Fast. Pink Floyd used this setup on the song Echoes you can here it in the beginning. Considering this is Ringo’s first composition to be recorded by the Beatles, it surprises me that neither George or John participated in its recording. John and Ringo were particularly close at the time and he certainly wasn’t involved because he had issues with Ringo. Same for George. Had all four recorded the song together, it perhaps would have turned out better? Really! And don’t forget the thoroughly forgettable Revolution 9. I know it has SOME fans, but the space wasted on that mess could have been used to include other tracks (George’s Not Guilty – IMHO). I also get the idea that the group as a whole didn’t take Ringo’s song seriously, which might have explained why John and George did not appear on the track. Ringo was really not getting much respect at the time. Poor guy. I don’t believe that Ringo wrote every lyric. I think that Paul or John got him to add the car crash / lost your hair lyrics to conform with the Paul is Dead themes deposited throughout the later albums. While no means great it really isn’t all that bad. No, really. 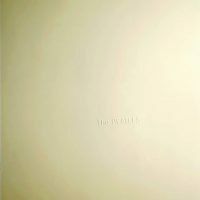 And it added yet another hue to the vast pastiche that is the White Album. Has anyone else noticed a chair (or something) scraping at about 1:48 in the stereo mix or about 1:39 in the mono mix? I always liked this one. The organ has a happy sing-song rhythm that is unique from all the other songs on the album. PID folks also really like this one. “You were in a car crash and you lost your hair” is one of the iconic lines that add to the “How it happened to Paul” story. For some reason I really love this song! I love the crazy organ and Ringo’s sweet tale. The whole thing is just so goofy it totally wins me over. It really pairs well with the whimsy of Yellow Submarine and Octopus’ Garden. So much of it’s charm is in how haphazard it all sounds. Yet I’ve always wondered if they “tightened up” everything to sound like a regular studio recording what that would sound like. There’s no organ on this song. You probably meant the two processed pianos played by Starr and McCartney. Other than that I concur. Although he wrote the song in ’63 or so I wonder if those lyrics, “You were in a car crash and you lost your hair” referred to Jayne Mansfield, who died in a car crash in 67, and lost her hairpiece or some of her hair, was a famous thing at the time. Ringo went on to buy her house, the Pink Palace, in Holmby Hills, Ca. He did meet her with the other Beatles years before. There was a long standing rumour that she was decapitated but apparently not true.. Interesting, I hadn’t heard that it was related to Jayne Mansfield, makes a lot more sense now, just thought it was a John influenced throw away line..
@Barbara Just re-read your post and saw that you were wondering if the lyrics were related.. I would say you have a strong case there! Can anyone back it up? Me too! And I love that meandering, scraping, out-of-tune fiddle part too, the way it patters all over the song kind of oblivious to the harmonies. I love the genius of John and Paul as much as anyone, but their music can be kinda rich and full of itself. I often find that when I listen to a whole Beatles album in one go, it’s the Ringo ditties I hit replay on. They’re just fun. His rendition of “Honey Don’t” on “Beatles for Sale” is one of the highlights for me. I got the stereo version for Christmas 1968 and it does have the extra fiddle at the end. Could it be the mono mix that left it out? Thanks J. The fiddle playing at the end of the mono version seems to last a few more seconds than the stereo, so I’ve amended the article. The Beatles didn’t always step up for each other in production….. They sure did justice for Ringo with the polish on “Octopus’s Garden”…… Performance matters, I bet Martin cringes over this tune……. At the very beginning of the filmed September 15 1964 press conference at the Sheraton Hotel, Cleveland, USA, Ringo gets the question if he has written any song or does he plan to. His response is “I´ve written one, but we never seem to get around to recording it. Most people don´t know about it but we haven´t recorded it.” To which John says something that sounds like “Blackmail, isn´t it?”. I guess ‘Don´t pass me by’ could be the song he is referring to. Why is the anthology version like a minute shorter? The white album re-release shows that it was actually Paul playing drums on this track. You might want to update the info. The new mix is really impressive – lots of clarity without destroying the rough-hewn vibe of the original! Definitely a throw away song.